Here are my 9 blocks for this month. I just love making scrap blocks and have copious amounts of scrap fabric. What a happy looking 9-patch. 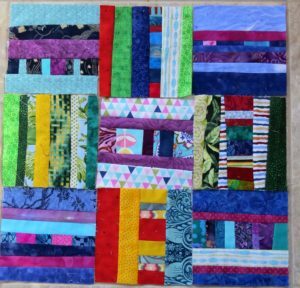 Our winner(s) will be making a great scrappy quilt.